Starlet O’Halloran has come to London looking for her wayward husband, Brett Steward. She seeks help from Sherlock Holmes. He refuses the case until he learns that three men have already been murdered who were connected to Starlet and Brett. Then this unlikely crew of Southerners and Londoners, and a couple of unexpected new characters, must work together to save the King and the Empire. Fans of both Sherlock Holmes and Gone with the Wind will enjoy this parody. 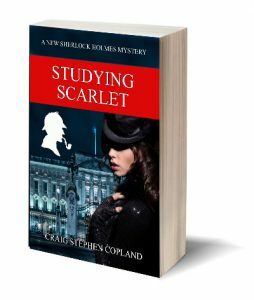 It is the first in a series of New Sherlock Holmes Mysteries by Craig Stephen Copland.